Cornwall now means holiday beaches, picturesque fishing villages and clotted cream, but especially in the 18th and 19th centuries the county was a key industrial area resulting from the massive deposits of tin and copper ore and later china clay. From mining followed other industrial activities, at first associated with mining and the machinery required for deep hard-rock mining. There were numerous local inventors and notable engineers, the world's first safety fuse was made near Camborne and Richard Trevithick (1771 - 1833) built the first high-pressure steam engines, demonstrating that their greater efficiency made steam power practical for railways and road vehicles as well as pumping in mines. Important iron foundries were established to build steam engines for mine pumping, and this expertise led to the 'Cornish engine' being adapted for pumping London's sewage, dewatering Holland's polders, and other uses all over the world. Harbours were built for sending minerals away and importing coal and timber for the mines; tramways were constructed to these ports and Bodmin had a steam railway two years before London. With increased maritime trade the Cornishmen's experience as fishermen or sailor proved invaluable around the county's exposed and dangerous coasts where great skill and numerous lighthouses gradually reduced losses at sea. Mining declined in the second half of the 19th century because of cheaper foreign sources. Thousands of Cornishmen emigrated, making a significant contribution in new mining fields around the world. The Cornish engine houses, with their tall chimneys form an important element in the landscape and a permanent reminder of the county's great industrial past. Following the closure of the neighbouring Levant mine in October 1930, Geevor was the only working mine in the St Just mining district. Over the years Geevor acquired and expanded into old mines around her. By the 1980's the mine was working parts of Levant and was prospecting in Botallack mine. October 1985 saw the collapse of the world tin market. Geevor struggled on, with various rescue packages, hoping for a recovery in the tin price. This never came and the last shift came up in February 1990. The pumps were finally turned off in 1991 and the mine is now flooded to sea level. The mine at its peak employed over 400 men (surface and underground), the majority from the Pendeen and St Just area. Geevor, an amalgamation of many old small mines, some whose names are now forgotten, restarted on a small scale around 1911, when a group of miners who had returned from Africa, started to prospect the recently closed Wheal Carne and North Levant mines. 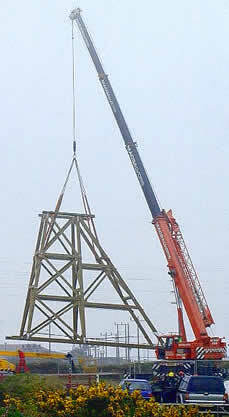 By 1920 Victory Shaft, so named in celebration of the First World War victory had been started. This shaft was to be the principal shaft throughout the rest of the life of the mine and was used both for hoisting men and ore, servicing the underground workings later to reach out under the sea. 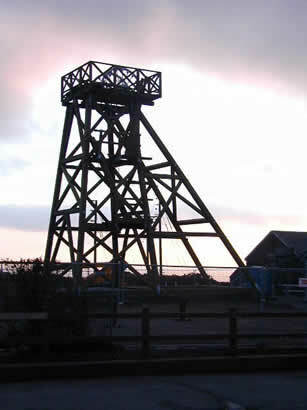 In 1992 Cornwall County Council acquired the site and in 1993 it was opened to the public as a mining heritage centre. Significant land reclamation and safety work on old shafts and other dangerous features has since been carried out. 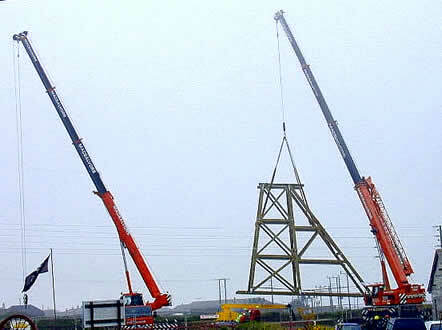 In April 2001 a group of local people started a charity, Pendeen Community Heritage (PCH), following a public meeting to discuss the future of the Heritage Centre on the site. In October 2001 Cornwall County Council, which owns the Geevor site, chose PCH to manage the Heritage Centre at Geevor Tin Mine. The Centre is open daily throughout most of the year with the exception of Saturdays. And here it is in the evening of the same day.